Behold, a future Star Trek adventure in the making! 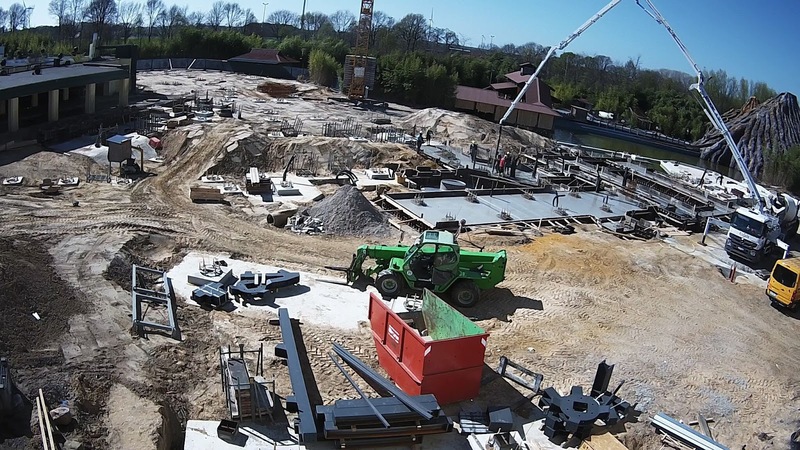 That building site pictured is the site of Star Trek: Operation Enterprise, a new Star Trek themed roller coaster which will open in Movie Park Germany next year. 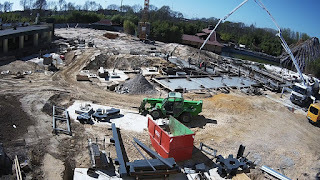 The new coaster will be what is known as a launch coaster, with which the guests will begin the experience with an accelerated catapulting and not first drawn over a hill with a respective drop. 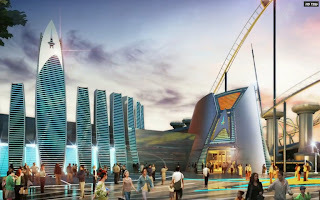 As the press release also mentions, this will be a unique attraction in the world, the only Star Trek theme park ride. 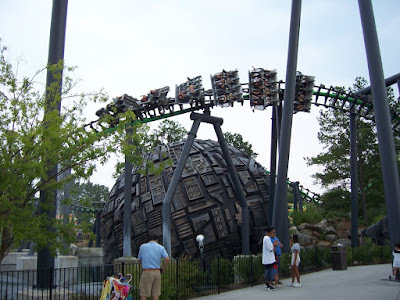 It is not the first however, for some years there was another Star Trek roller coaster in the US, the Borg Assimilator, which flew riders around the wreckage of a crashed Borg Sphere (image via Flickr, and many more on Theme Park Review). You might also recall I have previously reported on plans for several other Star Trek theme park attractions. Unfortunately the future is not looking bright for most of those. 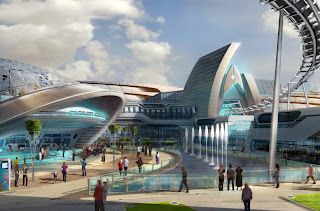 First announced way back in 2011, the initial estimates would have seen Paramount Murcia in Spain open by last year, complete with an entire Star Trek themed area of the park with multiple rides. Unfortunately funding issues have continually hampered the development of the park, and the final nail may have quite literally been put in the coffin late last year with the death of Jesus Samper, who was spearheading the project. Since then local authorities have been trying to establish the fate of the project, and have threatened to reclassify the land put aside back to agricultural use! Also first announced in 2011 was the Red Sea Astrarium, an attraction in Jordan which would also have seen a substation Star Trek element. This was initially planned to open in 2014, which is also when I last reported on it, at that stage they were apparently working with Bad Robot to develop new film to use in a 4D feature for the Star Trek part of the development. Alas financial issues seem to have undone these plans too, last year Deadline reported Rubicon Group Holding, who were developing the project, underwent a series of lay-offs, with the theme park employees taking the brunt of the losses. At the moment the project is "postponed", in part due to the poor prospects of plummeting tourism in the Middle East due to the ongoing security issues across the region. The final site still seems to have some promise. The news of Paramount London first came in 2012, when they were hoping to have started building by this year. That date has slipped a couple of times, and right now they are continuing to work on local consultations and planning, expecting to make their full planning application next year. If any of these places every actually get further than being plans and buildings sites, I will of course post updates! In the mean time you can have a look back through all the projects that never made it, plus other that did, by exploring my "attractions" label. And thank you to Daniel who let me know about the new roller coaster!